What do you believe when it all comes down? I was put to the test with this very thing. The plans were set and off we flew to Colorado with some friends. We were set to spend the next four days horseback riding, sightseeing, checking out the hot springs and taking a motorcycle ride. Sounds like fun doesn’t it? Oh, we were excited and everything just felt right. Back home we even had a realtor preparing to present a bid for the home of our dreams. Life was just good. The first night in town, we headed over to meet the horses and the amazing man who tends them. We barbecued ribs and met our friend’s whole family. What a lovely evening. The next day we woke up early and off we went to the farm again. I could have stayed there the entire 4 days and never left. I was in heaven surrounded by beautiful horses. I was eager to ride. The horses were selected and we hit the round pen. My horse was up first and everything went great. Then it was my husband’s turn. They ran his horse then he mounted up. As he did the horse bucked and my husband and the horse ended up against a metal fence. As he hit the fence the horse fell into him and very quickly pinned him. We were in shock at what had just happened but growing up around horses we know that it’s just one of those unpredictable things. So he walked it off thinking his hip was merely out of joint and we set off for our ride. Barely an hour into the ride, he was in pain. By the time we got back to the trailer, my husband couldn’t walk. We rushed him to the ER and they said it was serious and he needed a CAT scan to determine the seriousness of his injury. We prayed. We were still in shock since we had seen much worse horse incidents. This had happened so quickly. Surely, it was just a dislocated hip. We prayed and then came the bad news. His ligaments holding the pelvis together had torn and his pelvis had actually sprung apart. They told us there was internal bleeding and he would need surgery right away. He was then transferred to a trauma center. We then spent the rest of our time in Colorado trying to get his pain to be manageable. Doctor after doctor examined him until they determined to let him try to heal on his own before performing surgery. We were told they couldn’t tell us how long the healing process would take place but it could be three months depending on his body’s ability to create scar tissue in order to pull the pelvis back together. We had a severe reality check. Life was going to change for a while until he healed. Our plans were wrecked. Now what. Several times, I would walk into the hall or down to my car and breakdown. If he had to have surgery we needed to remain here and my mind would race and my heart would become anxious. I thought of the bid on the house of our dreams, being out of time from work to care for him, and my husband losing his job. More questions came. What accommodations needed to be made in order to care for him at home? How would I pay for extended hotels and changes in flights? We would now need to live on the savings we had planned to use as a down payment on a new home. My head went a million directions. I felt God say “be present”. I know the Word says not to worry about tomorrow but my heart struggles hard because now my husband needed to depend solely on me for everything and I felt the weight of our whole life hanging around my neck like a medal that I won. Here I am at that moment when life and plans changes instantly. Things were not going to workout the way we were hoping. It’s like I forgot everything I knew to be true in the Word and my mouth followed. But this is where the rubber meets the road. What do you believe ‘when it all comes down’? Will you keep praising God even in the face of change, distress, need or trial? It’s easy to praise God when life is good and things are easy and we have no needs. But when trials come and they will, what will we do? I’m glad to say I turned it around. They discharged him to fly home to continue his care. I loaded him up in the car knowing his heart was sad that he spent our only vacation in the hospital. I decided to take him sightseeing and was blessed to drive around and share this experience with him. Looking at the big picture, I am thankful he is here for the injury could have been worse. He will heal and in time be normal again. So what if we don’t get to submit the bid on the house? I still have him and we still have our family. That is what really matters. God isn’t finished with us. We have opportunities everyday to let the issues of this life take us down or we can find ways to be thankful and still trust in God. I know each one of you have your own story of trials and how you got through them. I just want to remind you “we get through them”. If we keep our hope and trust in Jesus and endure during this season, God will bring us out on the other side. He has done it for me time and time again. It can be difficult to keep our faith when life hits us hard but here’s where we truly see our hearts. We find out if we believe. Will we cling to the promises in Gods Word? Or will we waver back and forth? The Apostle Paul regarded these “tests” as opportunities to grow spiritually. Instead of despairing when he encountered trials, Paul said he would glory in his infirmities so that the power of Christ would rest upon him. As we, like Paul, choose to trust God and accept the grace He gives us, Christ’s character will be formed in us. When the storm blows into your life, what promises did you cling to? 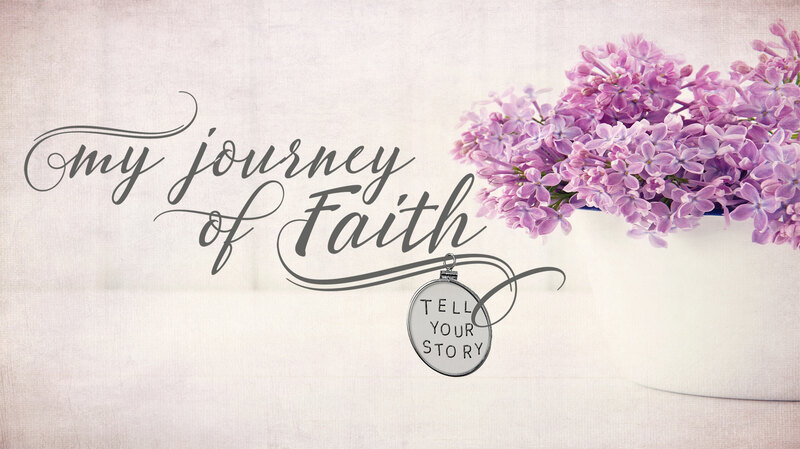 Share a brief message of hope with someone to help release faith in the lives of our sisters. Hold fast, endure and keep walking until they get through. Let’s help each other hold to faith ‘when it all comes down’. See each other walk in victory.